This month, FourVision will be attending the User group conference in Dublin from the 23rd to the 26th of April. 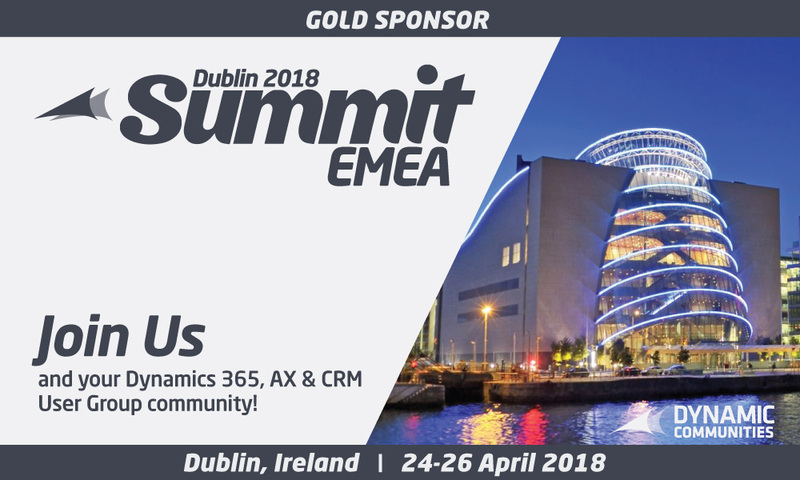 The Summit EMEA gives the opportunity for all Microsoft Dynamics 365, CRM and AX users, software development vendors and industry experts to come together and converse and inform themselves over product updates and solutions to their business needs. FourVision, as top Dynamics 365 HR experts, will be there to inform and enlighten you on the vast possibilities of the current HR modules of Dynamics AX2012, Dynamics 365 for Finance & Operations and Dynamics 365 for Talent. Are you looking to initiate or advance your digital transformation in HR? Or are you interested in further learning and understanding the Microsoft Dynamics products including development plans, updates, technical and functional training? Then come and join us at the Summit in Dublin. You can catch us at booth F2, eager to assist you with any queries and answer any questions.